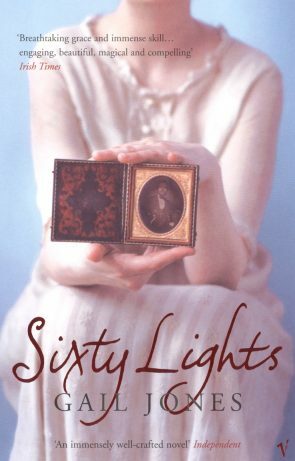 Sixty Lights is the captivating chronicle of Lucy Strange, an independent girl growing up in the Victorian world. From her childhood in Australia through to her adolescence in England and Bombay and finally to London, Lucy is fascinated by light and by the new photographic technology. Her perception of the world is passionate and moving, revealed in a series of frozen images captured in the camera of her mind’s eye showing her feelings about love, life and loss. In this confident, finely woven and intricate novel Jones has created an unforgettable character in Lucy; visionary, gifted and exuberant, she touches the lives of all who know her. Gail Jones lives in Sydney and teaches at the University of Western Sydney. Her books have won numerous literary awards in Australia. She is the author of two collections of short stories and five novels including Sixty Lights which was longlisted for the Man Booker Prize, Dreams of Speaking which was shortlisted for the International IMPAC Dublin Literary Award and longlisted for the Orange Prize, and Sorry which was longlisted for the Orange Prize.